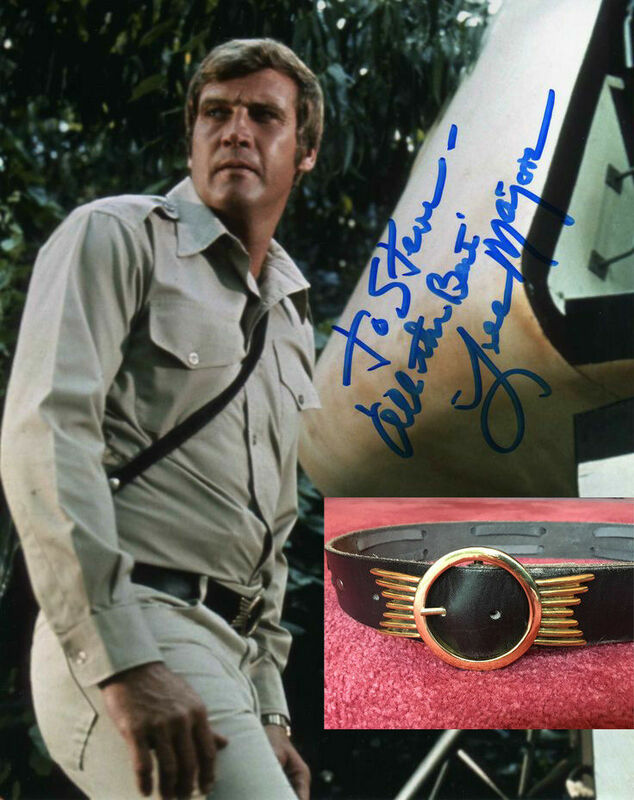 Steve Austin's Belt Buckle- Ok so it's not the exact one but it's the same one the Six Million Dollar man wore. 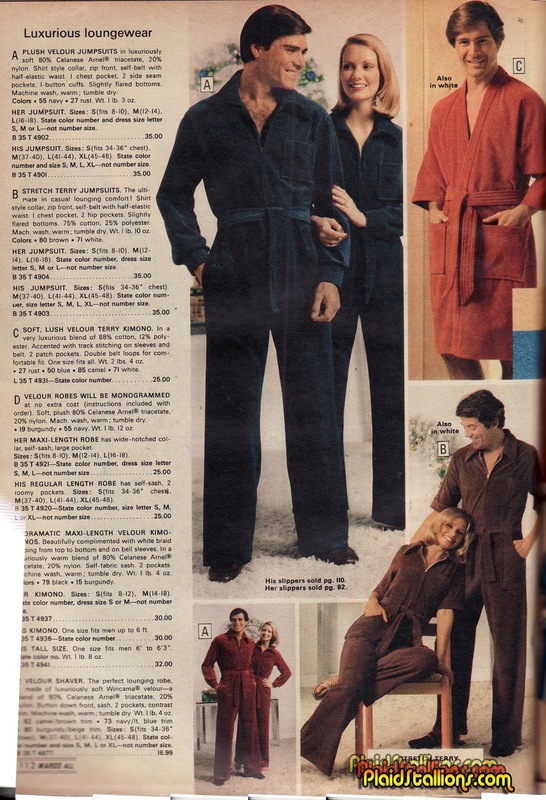 Anything that gets me closer to looking like Lee Majors is a good thing, also I imagine he smells really good. 70s Star Wars rip off parachute guy from Spain- This hits an incredible amount of buttons for me, if it's already sold it's because I caved and bought this. Captain America Movie Viewer Catridge- How weird is it that Cap was marketed under the Walt Disney Brand 40 years before that happened? Also, I just know this is clips of those weirdly animated Krantz cartoons, so i want it more. Berwick Dalek Playsuit from 1965- Even though this came out many years before I did, I love Doctor Who and the Daleks. Also, I find the wonderful simplicity of this toy very appealing. Ideal J,J Armes Mobile Investigation Unit- I remember seeing this commercial as a kid and wanting it for that entire Saturday and then moving onto something else I guess, childhood is funny like that. While Armes himself is a real PI with different mechanical hands, he never had a cool ride like this, I totally checked. Toy-Ventures 2: Chained Monsters or Monster Squad? Vinyl Phantom of the Paradise Figure- I already own one of these, I'm not a big collector of vinyl figures but I buy what I like and well, I really liked this. The visor comes off too. AHI Creature from the Black Lagoon on the card- While this is priced out of my range, it was for a long time my absolute grail item. Something about the Creech popping off that bright pink card that embodies everything I like about toys from the 1970s. The Shadow Crime Fighter Super Copter by Madison- Anyone intrigued by the Shadow toys I put in my video last week should check them out as they're actually quite affordable to track down when they surface. This carded item has a Buy it Now of $22. TV Flash outfit by Collegeville- I'm sort of nostalgic for the CBS Flash TV series these days and I love that Collegeville made a Halloween costume that year that is still the "Smock and mask" type that I loved as a kid. 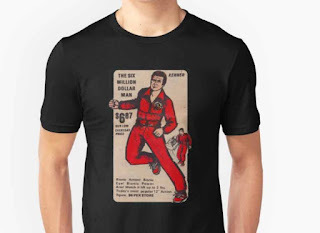 Mike Power: Atomic Man Outfit- I loved my Mike Power figure as a kid but I had no idea then that he had separate outfits and adventures outside of GI Joe. Go figure, they're really rare and expensive! 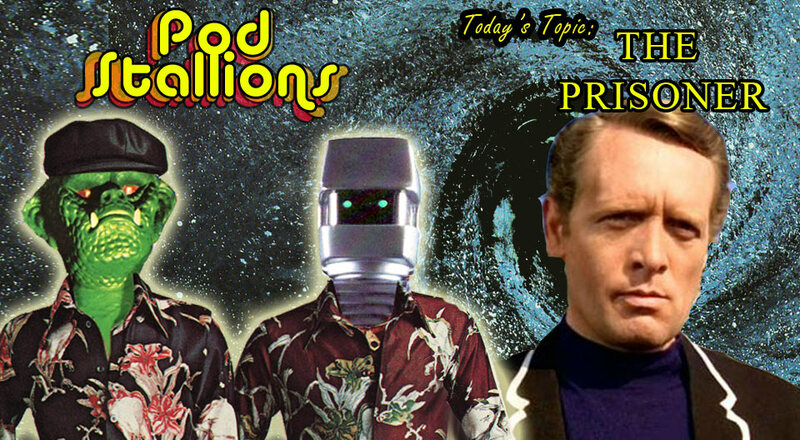 This month's show revolves around a television classic, the 17 episode maxi series "The Prisoner" a show that despite it's short run has an impact on television to this very day. 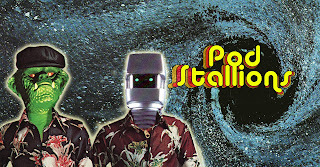 Along the way, we discuss Doctor Who, Starlog, Baby Secret of the Lost Legend, Danger Man, Columbo, Jason's adventures with tequila, Brian's gift to Mr. McGoohan and Chuck the Security guard. 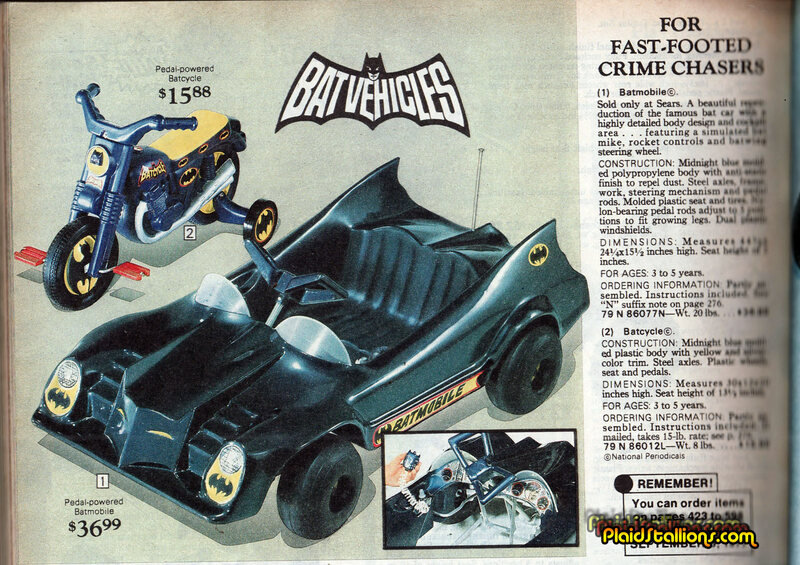 Only in the 1970s were "crimefighting" and "Skateboarding" put together logically. 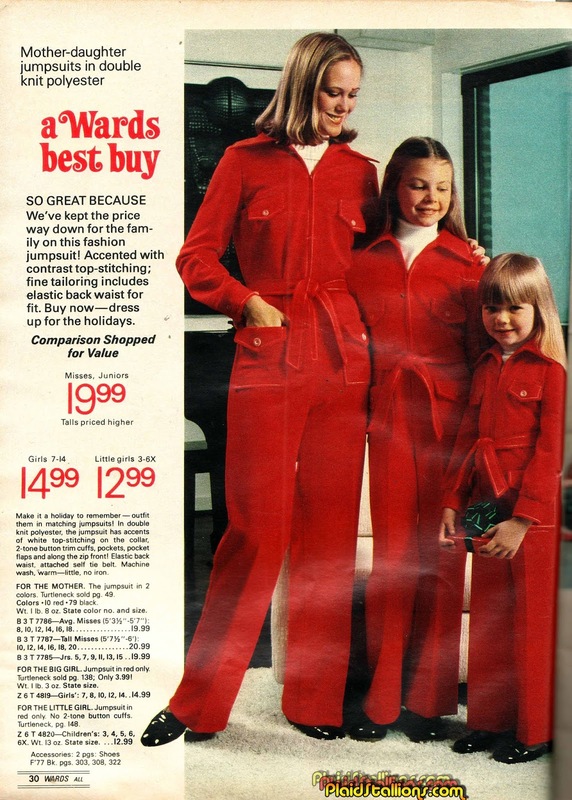 I am going back in time to the 90s, starting a band and calling it "Mother-Daughter jumpsuits in double knit polyester". See you at Woodstock '94 suckas! Tomy's Mighty Max is a really neat toy that often gets mistaken for a Micronaut or a Shogun Warrior. 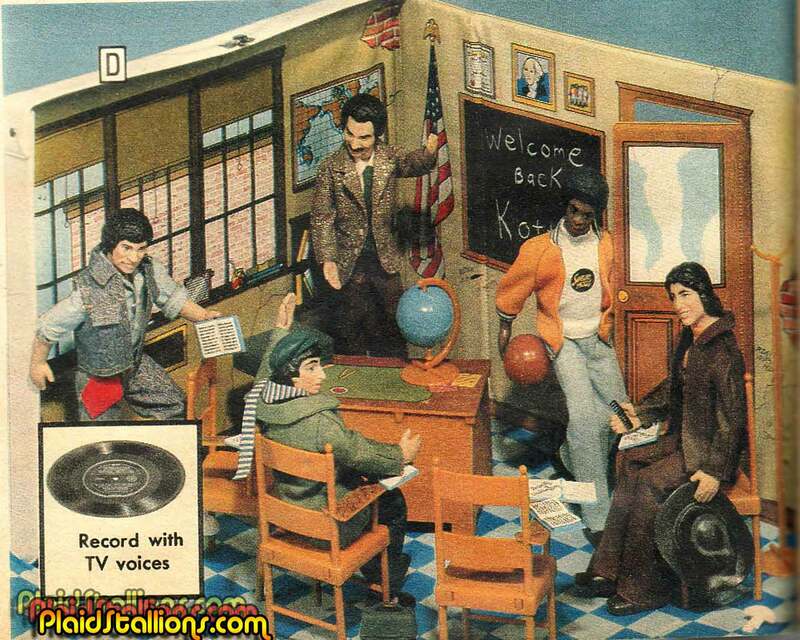 I wish more records were included with playsets, I think it adds a neat quality. 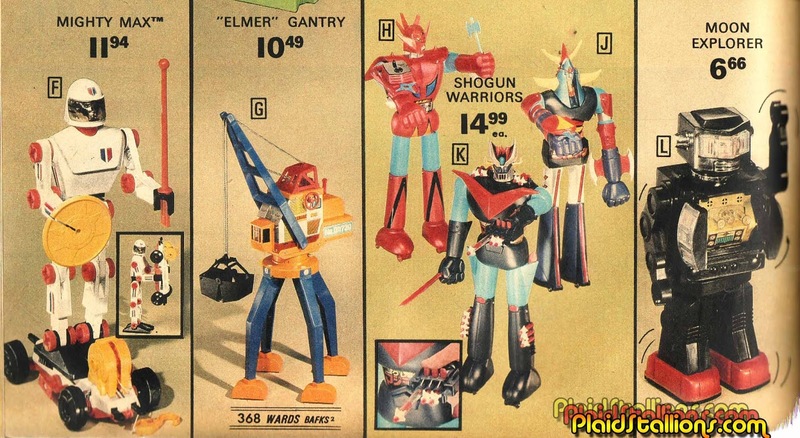 New video series from PlaidStallions.com, each episode will showcase a unique and interesting toy from our archive. This week it's the 1977 Shadow Crime Fighter Detection Belt from Madison Industries. A curious bit of merchandise for a character that kids weren't probably all that aware of at the time. Still glad it exists though. Look for a new Toy Venture in the coming weeks, I would value your feedback. Planet of the Apes Periscope- What's the connection between Apes and a periscope? Because I said so, you ask too many questions! This interview is over! Japanese Diecast Darth Vader- I'm not a huge Star Wars guy but Japanese Star Wars stuff is super neat to look at and always will be. Star Blazers Playset- Probably one of my happiest childhood memories is watching Star Blazers every day at three at my best friends house, this amazing playset for the 3 3/4" figure line should have been sold in North America but never was. Black Hole PVC figures from Portugal- I love "The Black Hole" movie like any nine year old should and I am in love with these PVC figures from Portugal. 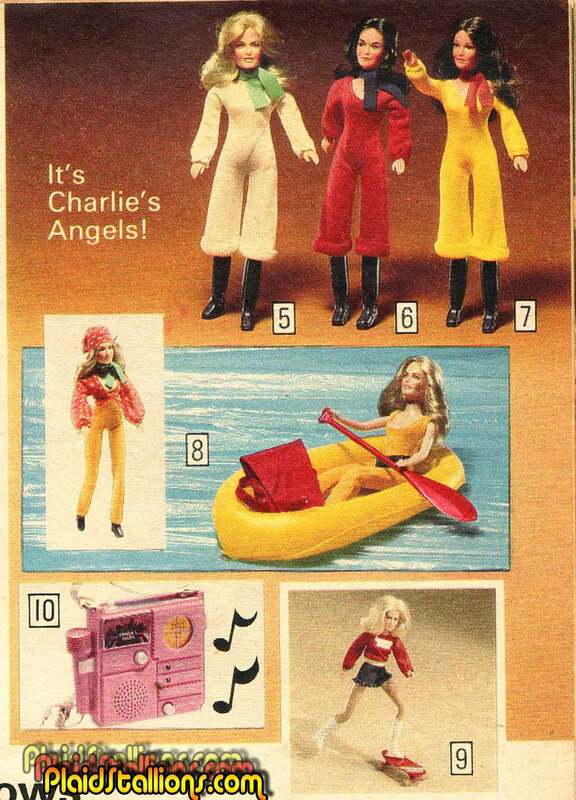 I miss the days of weird foreign market toys. 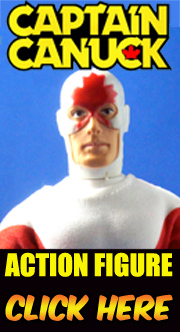 Complete Mattel Pulsar Collection- Pulsar is definitely one of the more interesting action figure concepts of the 1970s and now you can get him, his enemy Hypnos and his Life Systems Center in one fell swoop! 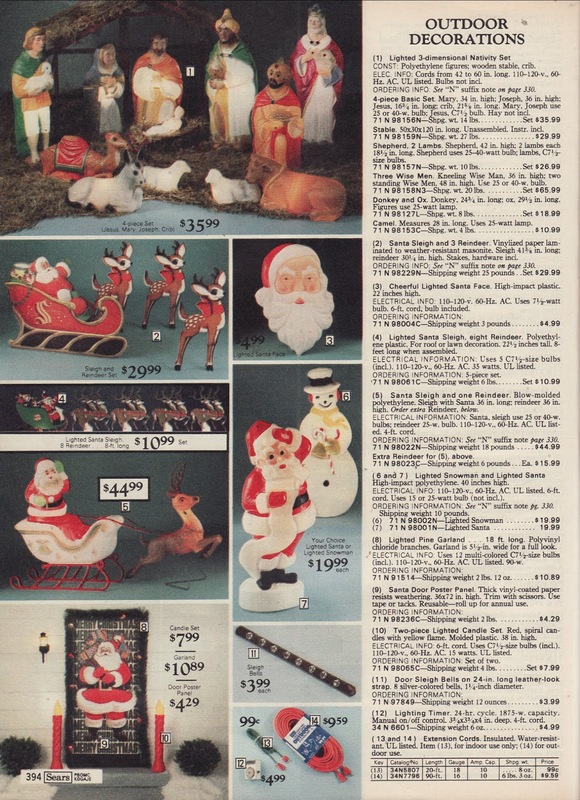 If this weren't the holidays, I'd totally be bidding on this for no good reason. "Feel like Batman triumphing over his arch-enemy" yup, the ol' caped crusader just loves to kill in cold blood, with a gun. I'm beginning to think Frank Miller got his start in the toy industry. I want to make fun of these people but i'm secretly envious of their comfort. As a lover of Blow molded figures, there isn't a single thing on this page I would not accept with open arms.